If your drill bits are sharp, but you're experiencing tear-out when drilling holes, there's a good chance that the drill press speed is set too slow. There are several factors that determine the proper drilling speed, including the size and type of bit, plus the density of the material being drilled. 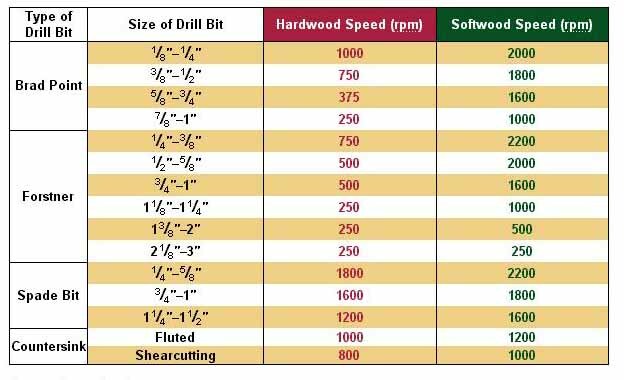 The chart below provides a range of drill press speeds that should work well.